Why choose a North East engineering industrial placement? Why choose a North East based engineering industrial placement with British Engines? Over the next few months we will begin to open applications for our North East engineering industrial placement opportunities. That’s why we thought we’d ask the question: What is an industrial placement? And talk to one of our latest recruits about his experience with British Engines. An industrial placement can also be known as: a year in industry, an internship, a sandwich year, a placement year or a work placement. It’s the chance to practice what you’ve learned at university so far, and how to apply it to ‘the real world’. We give students the opportunity to work within a professional environment where they will gain experience that will enhance knowledge, as well as industry skills; within a company that has 96 years of global engineering expertise. British Engines’ North East based industrial placements aren’t limited to engineering work experience, but also include opportunities to work in departments such as marketing, sales and finance. Sam is currently working at British Engines on a six months engineering industrial placement as a Quality Intern. 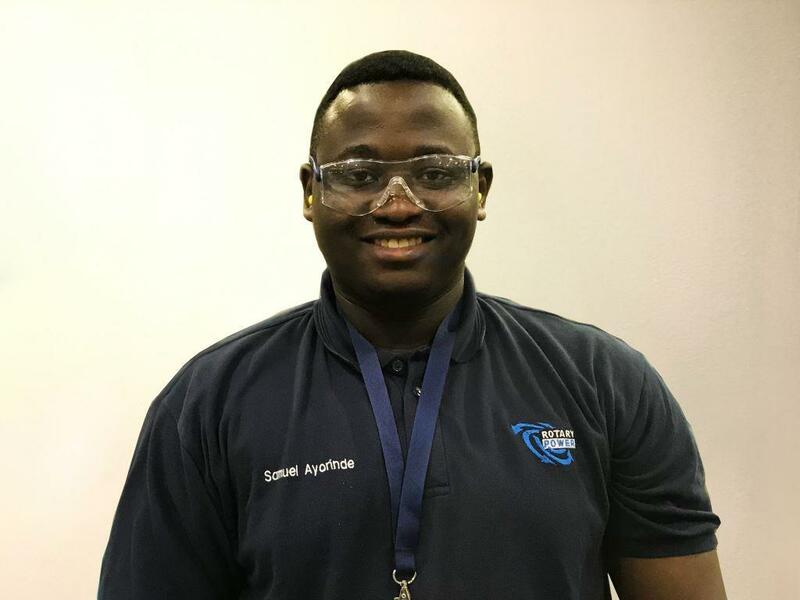 He’ll return to Bournemouth University, to commence the third year of his Integrated Masters in Mechanical Engineering, in September 2018 and will go on to complete his final two years of study. You’re coming towards the end of your placement now! How did you first hear about British Engines’ engineering industrial placement opportunities? “A friend of the family first recommended that I reach out to British Engines because of its engineering legacy. British Engines is known to provide career opportunities, training and experience to future engineers. I’m originally from Durham and wanted a local placement. “I sent my CV to one of the company’s Chief Operating Officers via LinkedIn, and was invited for an interview. Unfortunately I wasn’t successful and didn’t get the first position that I applied for, but I was later contacted by British Engines and invited back to interview for a similar position. Why did you choose a British Engines engineering placement? “I wanted to work for British Engines because the company’s core values are in line with my own. They separate British Engines from its competition and I feel like I’ve a lot to learn about separating myself from the competition – especially as an aspiring engineer in such a competitive environment. What have you gained from your experience with British Engines so far? “My experience has helped me realise that a career in engineering is definitely what I want to do. I can definitely see myself as a design engineer. It’s let me use what I’ve learned at university so far and apply it to, and develop, my practical engineering skills. It’s helped me make sense of what I’m learning on my course and why. “Because British Engines is a group, I work for Rotary Power, one of its seven companies. I work on design, quality and packaging for Rotary Power’s newest and largest motor. What’s your team like and what have you learned from them? So Sam, what’s next for you? Please get in touch to discuss how we can help you find the perfect work experience or placement opportunities by clicking here, or keep checking back here and follow us on Twitter, Facebook and LinkedIn to keep-up-to-date with the latest company news.